Although some parents think that all children are happy, the truth is that it is the job of parents to recognize the signs of anxiety disorders in children. While in some cases they are quite obvious, in other cases they could be mistaken for other problems. It is common for the children dealing with anxiety to be afraid of something, but not knowing what. Focus problems are also common, especially not being able to focus in class. Another common sign is not being able to fall asleep alone and being afraid of being alone in a room. Some other symptoms of anxiety disorders in children include being shy and fearful. It is possible for children not to have friends and to avoid playing team sports. It is common for children not to be comfortable about having to speak in front of a crowd and some kids are afraid of small and enclosed locations, like the elevator. When looking for the signs of anxiety disorders in children, it is good to know that the children who have problems can be easily distracted by noises and objects. Losing track of what is going on around them and daydreaming is also common in case of children suffering from anxiety. 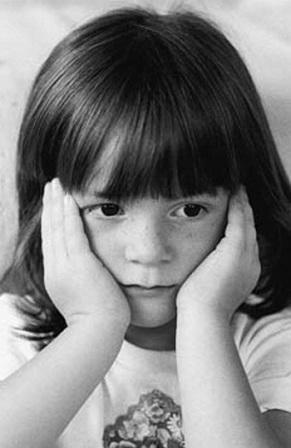 Since the children’s anxiety disorder signs include not being able to focus if there is anything that could disrupt them, it is difficult for these children to organize their schedule or to organize anything around them. In some cases they cannot work unless they are in a completely quiet environment. The parents looking for the signs of anxiety disorders in children should know that anxiety and stress are all normal for children. Low levels of anxiety make children perform better. Sometimes anxiety can make children focus even more and do better in school or at home. The sad truth about the children’s symptoms of anxiety disorders is that anxiety can also be mistaken for hyperactivity or adults may think that the child is inattentive. In order to minimize the stress, it may seem like the child is acting irrationally or quickly and so he or she may be labeled as impulsive. There is a lot to think about regarding the signs of anxiety disorders in children and parents should ask whether the signs are causes or effects.